We supply insulated biomass power plant buildings designed and manufactured by Katera Steel Oy in accordance with customer needs. 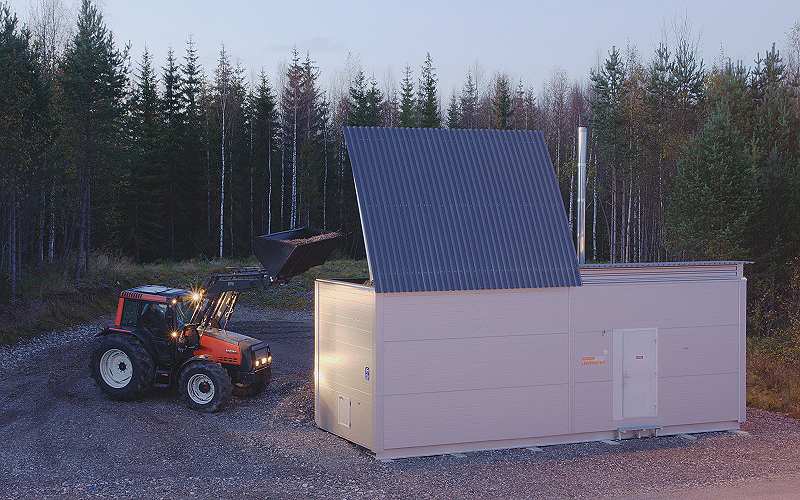 We manufacture insulated predefined Biomass power plants of solid bioenergy up to 1000 kW. Customer interface can be tailored to customer needs. We also make many kind of prefabricated buildings (elemental structure) for power planta, warehouses or other uses. The buildings can be insulated or not according to customer needs. 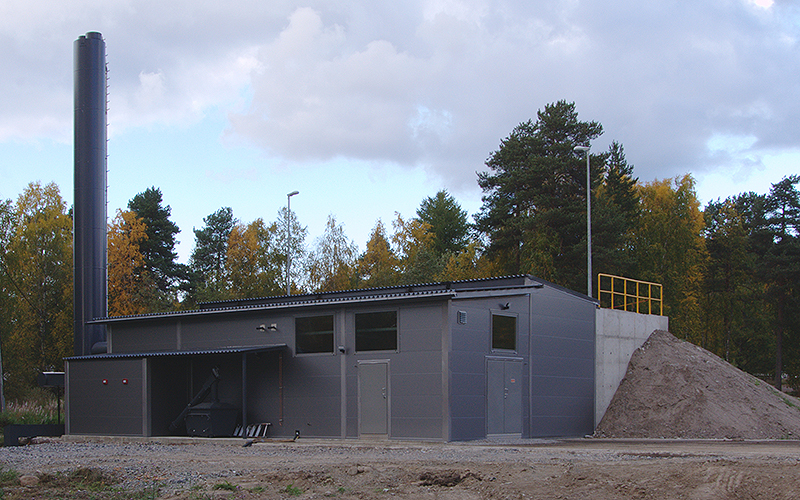 We supply insulated prefabricated solid bioenergy using heat containers for power category from 60 kW up to 500 kW. Customer interface can be tailored to customer needs. We also make other containers and similar insulated buildings either for power plants, warehouses or other uses according to customer needs. 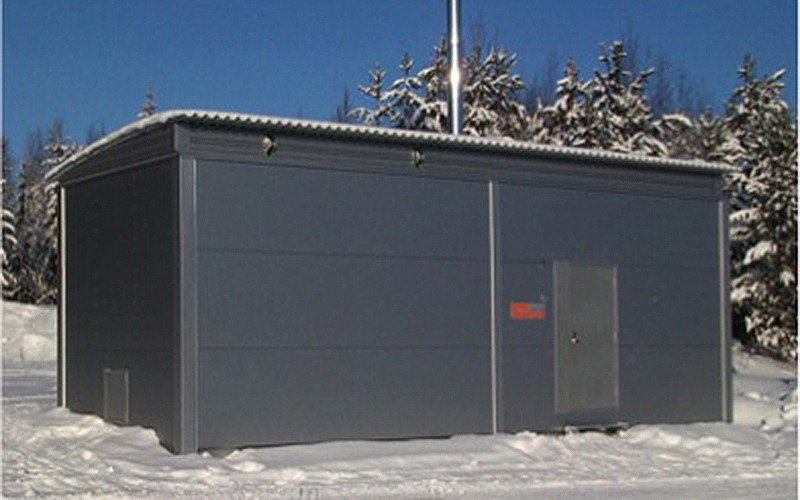 Containers are available either with steel floor or only with wall and roof elements to be erected on a concrete slab. Solid fuel supply to the fuel storage part of the power plant is arranged either through the doors or through a roof to be opened hydraulically.